What To Look for When Buying Black Diamonds Online! What To Look for When Buying Black Diamonds Online? In our short natural black diamonds buying guide, you will find more about the misconceptions of Buying Black Diamonds online. You will learn more about the quality, size, shape and the price of black diamonds. Are black diamonds worth buying? Black Diamonds have become the Top diamonds used for most diamond jewelries, surpassing all color diamond categories. This must be because of the mystery of the black color. The theories of Black Diamond formation have much to do with that, especially since they have been linked to supernovas. About a decade ago raw black diamonds for sale were low-cost because most collectors and researchers weren’t interested in them. But the present marketing campaign puts the stones in the spotlight, so prices have risen sharply. Today black diamonds are sold at prices that are equivalent to those of white diamonds. How to go about Buying Black Diamonds Online? 1. Learn more about black diamonds in general. There is an abundance of resources available to learn all about black diamonds. Black diamonds are crystallized carbon, just like normal diamonds. 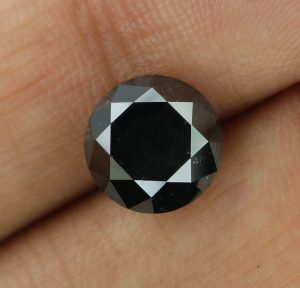 Either the color black occurs due to dark inclusions, or high temperatures or radiation in a diamond. Before buying, do your homework. 2.Know what features to look for. A good cut, a polished surface, and a rich color is the pride of black diamonds. Even if treated, a black diamond is very much a real diamond. On the basis of Cut, Color, Clarity, and Carat Weight. Buying Black Diamonds Online is not an exception. Black diamonds have a round cut (16 facets single cut or 57 facets brilliant cut). The surfaces should be smooth. Their color should be evenly distributed. Clarity refers to the presence of inclusions or flaws. Black diamond grades are AAA, AA, AA+, A, & I1 with AAA being the best. A black diamond should have a glossy, sparkling surface, while carat is the weight of a diamond. 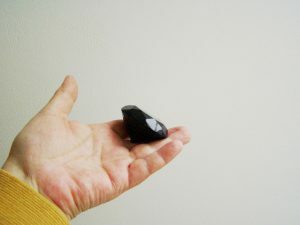 Since the density of a black diamond is higher, a black diamond will appear smaller than a white diamond. On today’s market are not real. They are treated stones or clearly dark brown or exact dark green diamonds. What’s a real stone? It is difficult to cut and much more brittle than other diamonds. Buying Black Diamonds Online, beware of misleading ads. Go for terms that say untreated black diamond or GIA certified (certified black diamonds). Fancy black diamonds are unprocessed. When an unusual color is an asset in a diamond, the term ‘fancy’ is used. 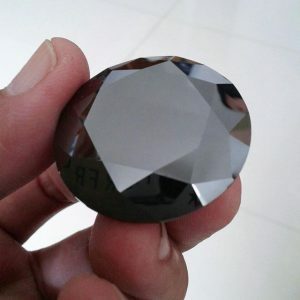 If you want to purchase black diamonds, do a search on different websites to see what black diamonds are listed there. Then directly compare the price of black diamonds. Beware that vendors may list the same stones out of wholesaler lists, while some diamonds might be unavailable. You can ask this in a simple call. The reason being, a certain diamond may be either out on inspection or sold by another dealer. So make sure they they are available asking for actual picture, weight, and size. You can also hunt for the exact sizes compiled from other websites and can compare them. 5. Check the black diamond itself. Under a fiber optic light, the edges of a black diamond will appear to have dark brown edges. 6. Consider a combo with white diamonds. A solitaire black diamond has a much stronger personality. The combination of black and white diamonds in a piece of jewelry becomes poetic and enhances the beauty of both. This creates quite a balance between conventional and modern looks. 7. Check the vendor’s remark. Before buying black diamonds online, there are a few things you have to consider. To begin with, check a vendor’s company and credentials with public and professional organizations. Ask about the vendor’s credentials, if you weren’t able to find them on their official website. Make sure you’ve checked the feedback from previous customers on their consumer forums. You can also ask for the actual diamond photos, as today’s technology advancement can produce fake high-quality pictures. 8. Buying over the Internet. Surprisingly, buying black diamonds online is quite a pleasant experience. A great variety of well-cut stones sold at the best prices can be easily found on the Internet. It’s simpler to buy online than to find a reputable local jeweler whom you can trust for setting and cleaning a diamond, its maintenance, repairs, and so on. Keep in mind one imperative thing and beware! For example, when Buying Black Diamonds Online for your jewelry, a 100% natural black diamond, whether treated or enhanced, will not cost you less than $100 per carat or so. If anybody is selling you diamonds at $10 or $14 per carat..please Beware.. There is a 99.99% Guarantee, they are not real; they are either hematite, a synthetic moissanite or silicon carbide. Black Diamond Jewelry | Choosing Black Diamonds Good or Bad?